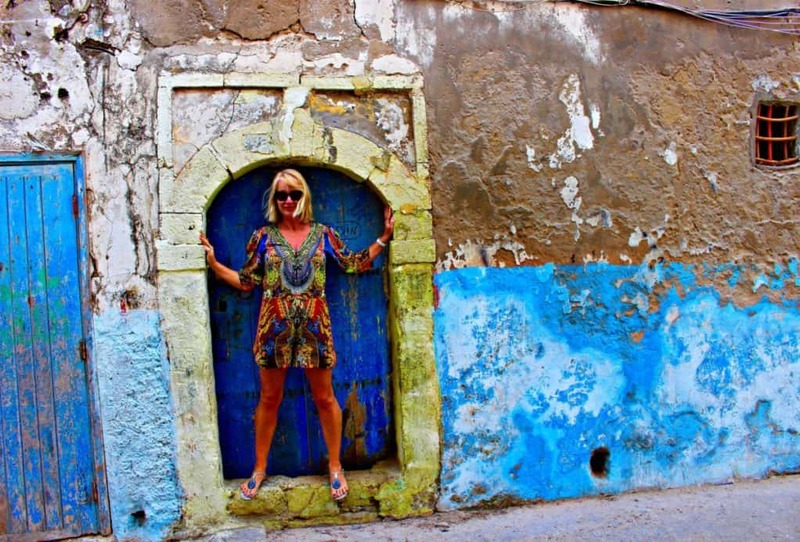 I loved Essaouira and this is my favourite place to visit in Morocco. 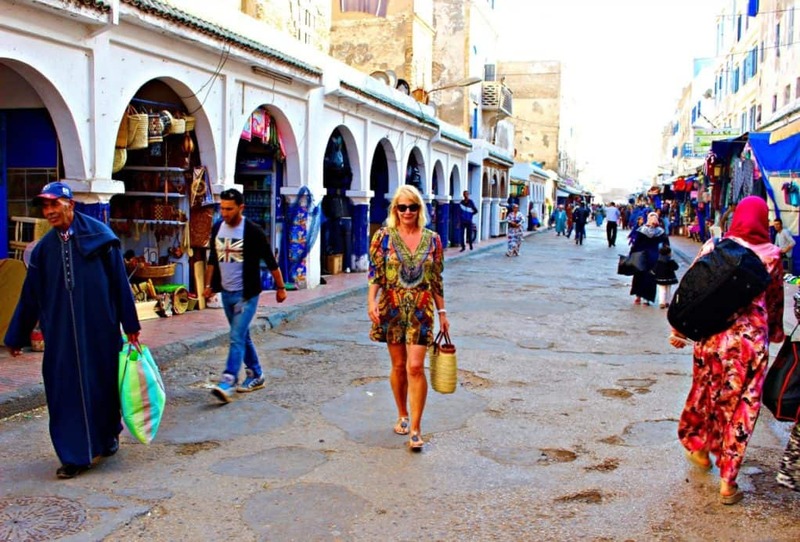 I loved the laid back beach vibe, the beautiful Old Town Medina, friendly people, stunning location ….. can you tell I loved it? I will be back for sure! If you go to one place in Morocco, this would be my recommendation. I stayed in a Riad located within the Medina which was a unique and fun experience and something you should do at least once during a trip to Morocco to get a different experience. The local people were so friendly and I felt like a local after a 3 day stay! However, if you want a more relaxed vibe there are plenty of nice hotels and villas to choose from and you will be spoilt for choice. 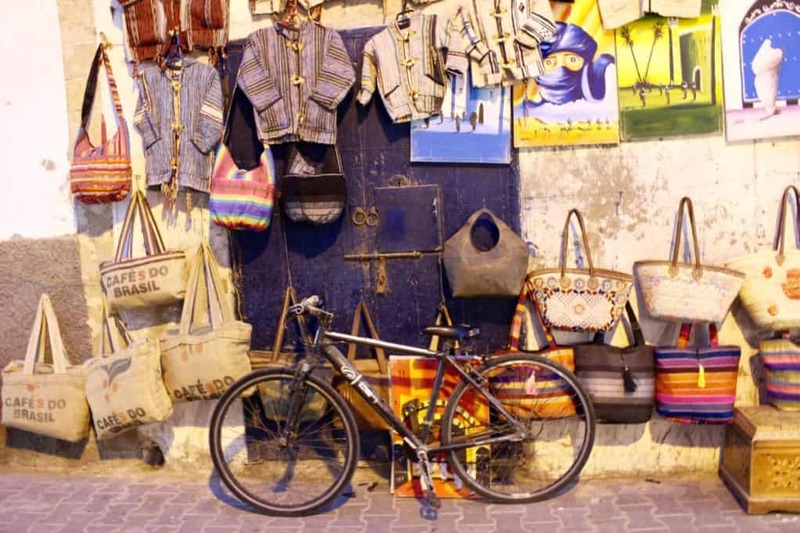 The Souk is a delight, stay away from the main streets and you will find a treasure trove of Spices, delicious Moroccan pastries, just about everything you could wish for! I bought some pots, dates, spice mixes to bring home to France. Regular readers know I love Camels, so this was heaven for me! Choose to go on a short trek or overnight and camp. 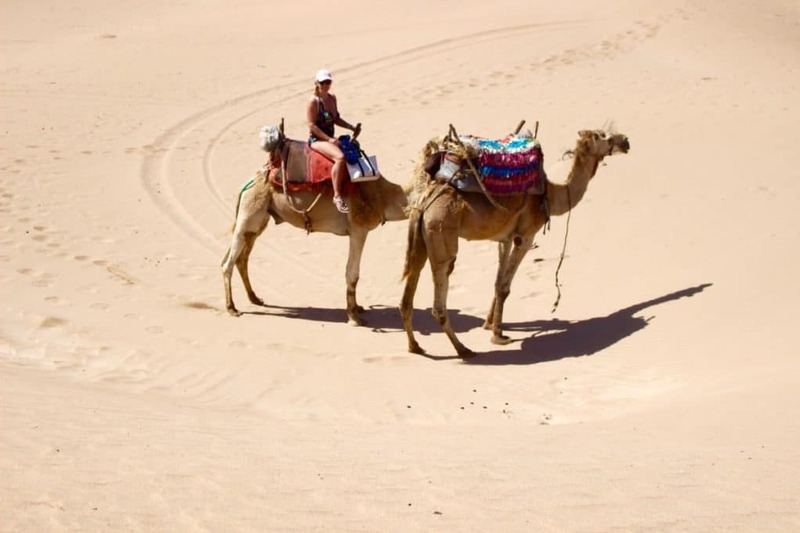 My Camel trek was a highlight of my trip and I recommend the company I used, see the information section at the bottom of the page. 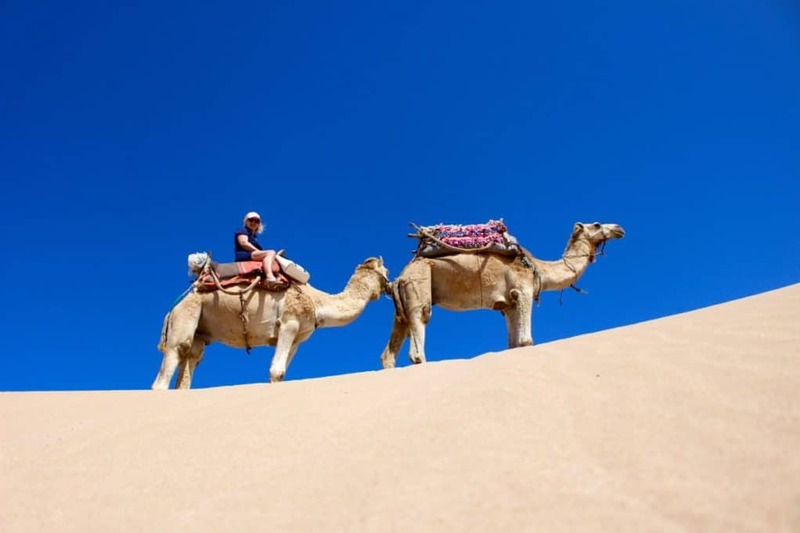 It was such a treat exploring on James the Camel with just my guide for company. 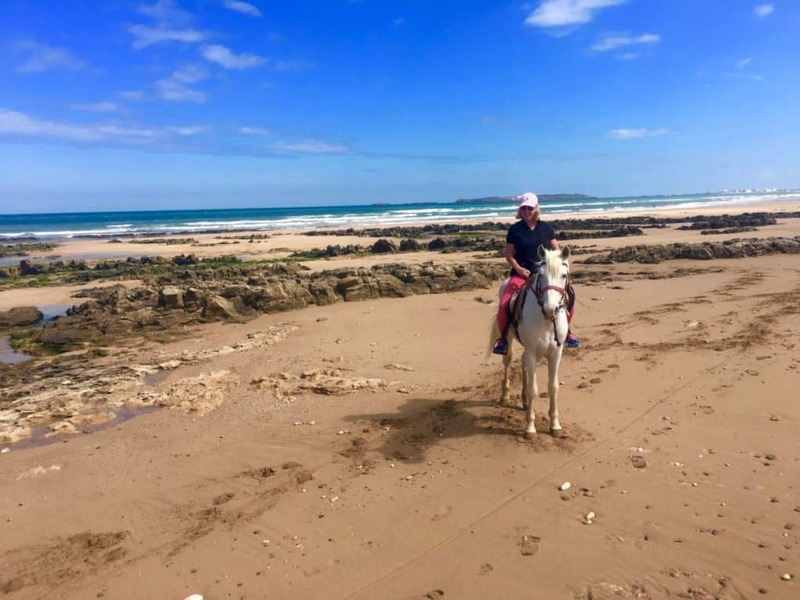 Then, the next day I used the same company to arrange a horse ride which was just as fun as the Camels but a lot faster! They have beautiful horses, well looked after and cared for which is essential. To be honest, for me it just doesn’t get better than this! 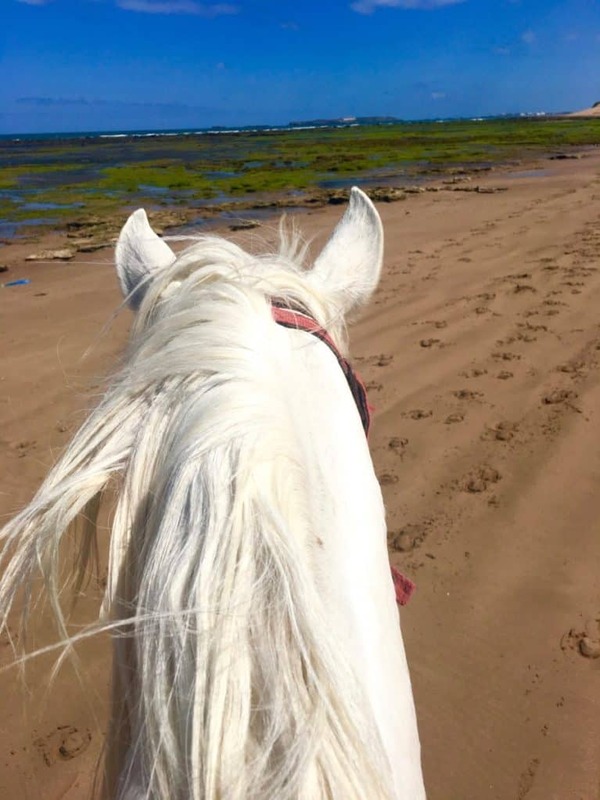 Cantering along on a pristine, unspoilt beach on a cracking little horse with a good guide for company. The perfect morning. The Port is a fascinating place to explore and take photos of the iconic blue fishing boats. Just around the corner are the little fish shack restaurants, where you choose a fish and they cook it immediately. Delicious, clean and simple food but beware make sure you barter because prices are high. The Old port of Essouaira is charming and iconic for photographers on Instagram! It is impossible to take a bad photo and the fisherman don’t seem to mind. The history of the port stretches back into time to 1770. 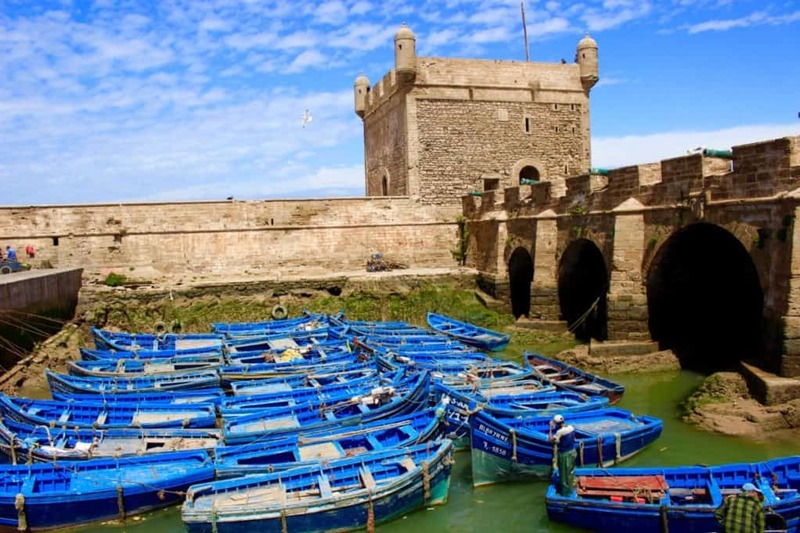 This was the most important trading port between Europe, Africa and the Americas, originally named Mogador. Free trade policies were encouraged by Sultan Ben Abdellah who encouraged the settlement of rich merchants and Jews to settle and work in Mogador. This was an important trading port. 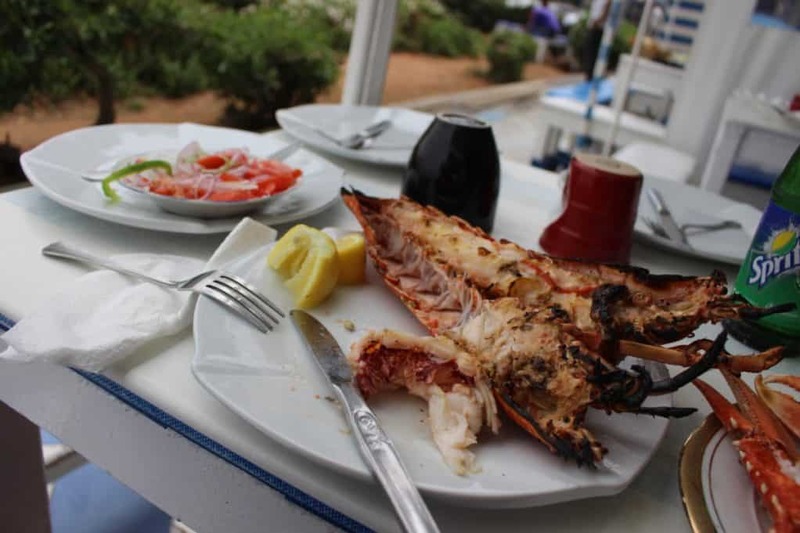 I enjoyed a delicious Lobster lunch at one of the little shacks around the port. It was the best ever, but very expensive and I should have bartered really! Above is a stunning old building, owned by Jewish traders and abandoned in the 1960’s. Moroccan law dictates that abandoned properties are left for 100 years incase the descendants owners decide to return and claim the property. 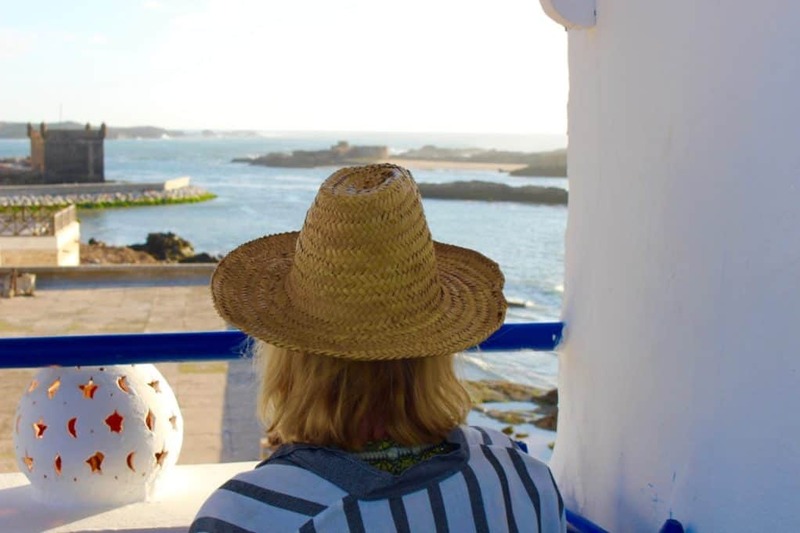 Above is a photo taken admiring the view from one of the bars serving alcohol in Essaouira. These are obviously popular with visitors to the town! 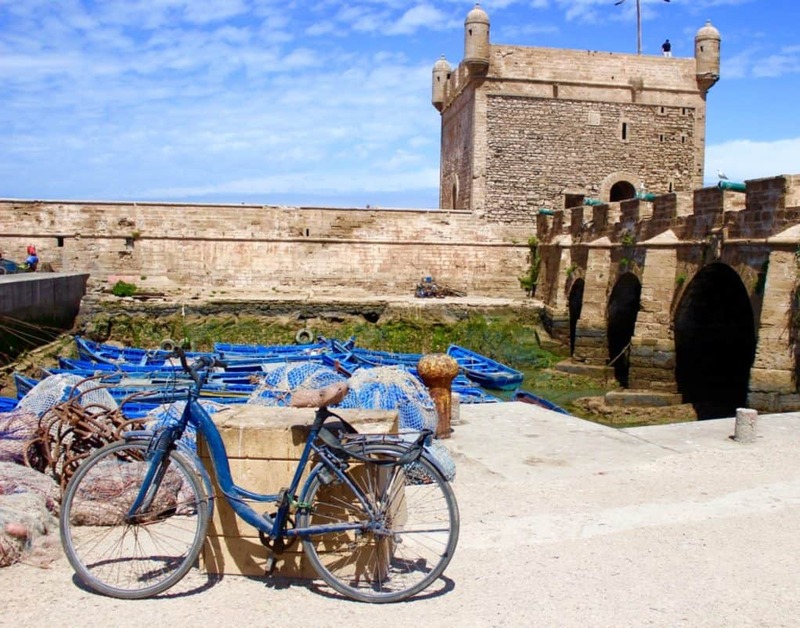 Definitely put Essaouira on your Morocco itinerary. 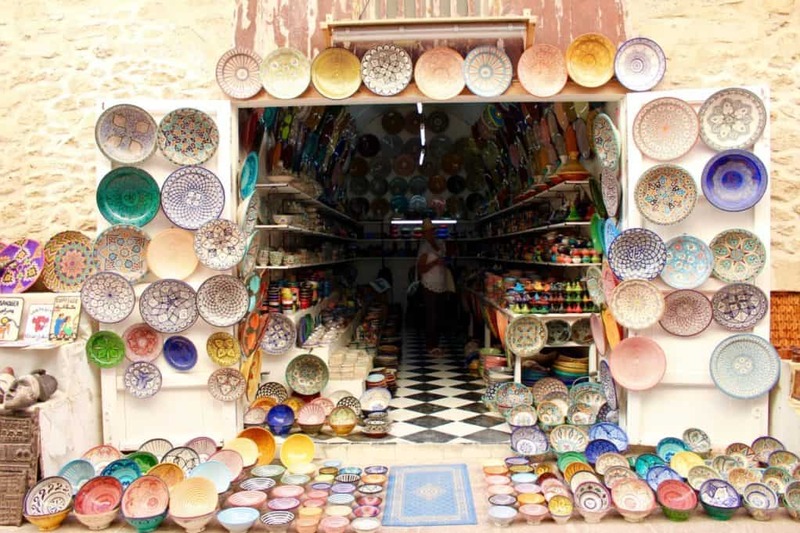 We hired a car at Marrakesh Airport and happily and safely drove all around the country from Marrakesh to Agadir to Essaouira to the Atlas mountains to Marrakesh. The roads are perfectly safe, fellow drivers very well behaved, and the people of Morocco delightful and helpful. Get out and explore!